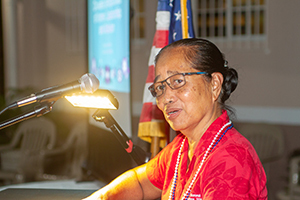 Pohnpei—With the theme “Working Together for Progress”, the 8th FSM National Women’s Conference kicked off with a welcome reception at the Kolonia-China Gym on Sunday, August 26. The stated goal of the conference was to continue to build and support social development that is inclusive for women across the FSM. 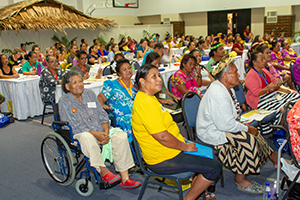 Hundreds of women from each of the four states participated in the event where they heard presentations from authorities on a huge variety of important issues that affect everyone in the FSM but focused on the particular impacts on women. Organizers invited and encouraged men to also attend and many did. The vast majority of presentations were made by women but there were also presentations by men. The stated objectives of the conference were to provide a platform where women from the four states can come together and engage in discussions on issues affecting them, to have a forum where FSM national and state level stakeholders can harmonize their understanding and status of women’s issues in relation to different policy frameworks at the national, regional, and international level and to unify the collective efforts of the country’s response to resolving women’s issues. It was also to engage the participants of the forum with resource people in different fields to uplift the level of understanding and support for women and girls in the FSM. The signing of the resolutions and outcome documents won’t come until after we have gone to press. Those will be much more specific than the stated hope of outcomes on the printed program for the conference. Those hoped for outcomes are an increased awareness and understanding of issues affecting women in the FSM; a better understanding of national and state level policy frameworks that are guiding the governments’ work to advance the status of women of the FSM; priorities of the states identified to the progress of women’s status and linking them to available technical assistance and funding support; improved coordination of the FSM national and states’ government actions to respond to regional and international commitments to advance the equitable development for women in FSM. On day one the presentations began with lessons for the FSM on women, democracy and accountability in Pacific Islands, and continued through good governance, climate change issues and its impact on women, the role of women in sustaining a healthy nation and onto the important topic of women’s participation in politics in the FSM, including the recently introduced temporary special measure to add four new seats specifically for women in the FSM Congress. The day ended with a reception hosted by the Australian Embassy where several more presentations were given. On day two the presentations began with discussions on women’s economic empowerment and the morning concluded with a presentation on FSM Social Security. 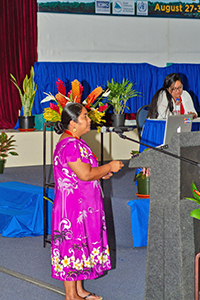 After a break the topics were Micronesian women and sustainable futures for FSM, and regional projects targeting women to ensure gender inclusiveness. 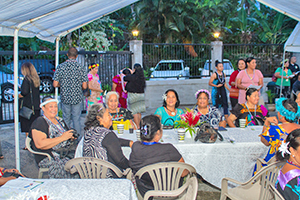 Dinner was hosted by Pohnpei State Legislature. 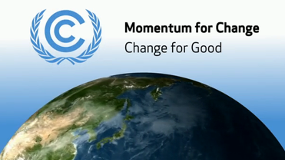 On Wednesday presentations were made for recommendations from the states followed by a climate adaptation survey. After lunch presentations centered on gender violence and family safety issues and mitigating services designed to help. 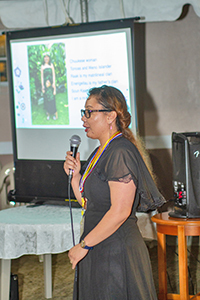 The United States Embassy hosted a dinner reception that included presentations on qualifications of a mother to be a leader by PhD candidate Myjolynne Kim and a presentation on Human Trafficking eradication enforcement efforts. Before dinner the video on FSM Female Pioneers was screened. Organizers hope to be able to find funding to flesh out the content of the video to include interviews and more listed FSM female pioneers. 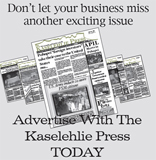 The video was produced by Micronesia Productions as a volunteer effort. On Thursday, before afternoon breakout sessions, presentations centered on women’s health issues. Dinner was hosted by Kolonia Mayor Jose San Nicolas at Flamingo. A closing reception will be hosted by FSM Congress Speaker Wesley Simina and Senator Ferny Perman. It will include performances from each of the states.